Hemophilia is a disorder which occurs because specific genes are not properly working. Hemophilia is an X-linked disorder. 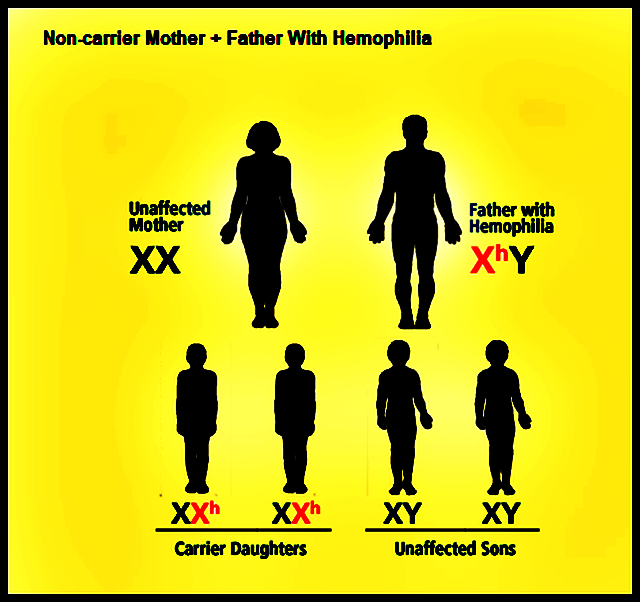 Hemophilia is more common in males because males have only one X chromosome. Hemophilia is usually not seen in females because females have two X chromosomes and one X chromosome can mask the problem of the other. Instead, the female is a carrier of the disease. She has the potential of passing on hemophilia to her children. Recent advances in genetic testing allow women from families with hemophilia to learn whether they are carriers and therefore at risk for having children with hemophilia. Note: Please consult your treatment center or physician before pursuing any course of treatment.